Look at the color and size of toes compared to his other foot! 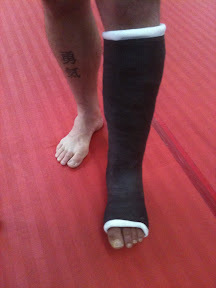 These are Duane Ludwig's feet. His left toes are the same color as Rashad's!